ABC Carpentry is a NY state licensed and insured construction corporation. 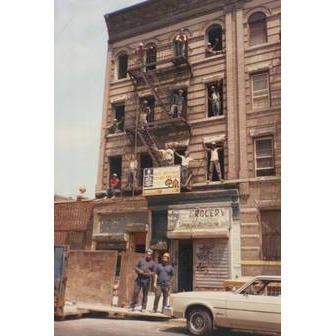 We are fully insured, and licensed with the NYC Department of Buildings, as well as the NYC Department of Consumer Affairs. We provide; general contracting, carpentry, design, remodeling, demolition and rubble removal, and home improvement all over New York state. We've been in business for over 50 years and our expertise has only grown progressively over time. With our passion and use of the finest materials available, ABC Carpentry will provide you with exactly what you want, at an affordable price. masonry, millwork, carpentry, and complete renovation of homes, apartments, and commercial spaces including restaurants, retail stores, and offices. From fully renovating a landmark brownstone in NY's Greenwich Village to constructing a pharmacy in a new shopping mall in Flushing, Queens to bringing successful NY restaurants and bars up to changing building and fire department codes, ABC has the capability to meet the needs of a wide variety of construction and contracting needs. Asa Clark has over 30 years experience in the construction and contracting business in and around New York. He is a master carpenter and is licensed in rigging, and scaffolding. He is also part of The United Brotherhood of Carpenters, Joiners of America, and Associated General Contractors of America, as well as The Association of Wall and Ceiling.